"How do I get Rid of Love Handles?" This is a popular fitness question, and since I am a personal trainer, people often ask me this question. Unfortunately, the truth is that it takes work and discipline like everything else in life. But my goal is to educate you and give you some direction, so that you use your time more efficiently and reach your goals and burn belly fat as fast as possible. If youve read my page on ab myths, then you know that spot reduction is not possible. Spot reduction is the assumption that working a spot with an exercise will get rid of the fat at that spot, but that is not how the body works. If you want to get rid of your love handles, decreasing your body fat percentage is the most important goal to strive for. Doing stomach exercises is still very important! Ab exercises can help to strengthen your stomach muscles, build lean muscle, support good posture, protect the lower back, improve toning, improve function, and increase athletic performance, but they cannot magically get rid of fat on your stomach. Unfortunately, there are no magic ab exercises that can make you look like a model or athlete. Models and athletes take a comprehensive approach to staying in tip-top shape. They are disciplined and consistently work hard. Models and athletes take measurements to see exactly where they are, so they can track progress. They do aerobic exercise to burn calories and lose body fat, they eat healthy diets when they are getting ready for an event or photo shoot, and they also do ab exercises. Here are some Fitness Tips that athletes, celebrities, and models use to get rid of love handles and burn belly fat. Running is a great way to burn calories, get fit, and lose body fat. Jogging is one of the fastest ways to decrease the size of your mid-section. Jogging or doing aerobic exercise 3-5 times a week is necessary for building cardiovascular fitness and burning calories. When celebrities have to lose weight for a role, many of them take up running. Getting out on the road or running on a treadmill will help you to lose weight and decrease body fat. But, if you use the interval training technique you can burn even more fat. Interval Training is simply a technique in which you vary the speed of your workout over certain intervals (time periods). For example, you could run on a treadmill at a speed of 5.0 mph for 4 minutes and then run at a speed of 6.0 mph for 1 minute and then return to 5.0 for 4 minutes and then 6.0 mph for 1 minute. The benefit of this technique has been demonstrated through research. One study compared walking with interval training (walking/ jogging). Over an 8 week period, one group walked for 90 minutes during their workouts, and the other group did walking/running intervals for 45 minutes. After 8 weeks, the researchers found that both groups loss nearly the same amount of fat. The point is that walking (or continuous aerobic activity) can significantly decrease body fat, but interval training can burn the same amount of fat in half the time. When celebrities and models need to get in shape, they want to do it as fast as possible, so many of them take up running and use the interval training technique. The interval approach to aerobic exercise can help you to lose body fat and get rid of your love handles. Low Carb Diets are one of the most popular nutrition approaches to losing fat. Processed sugar and white flour (both are carbohydrates) negatively affects your hormones (specifically insulin) and often leads to weight gain. Ive read many nutrition books and they all recommend decreasing consumption of white flour and highly processed sugar. Generally speaking most nutrition philosophies recommend getting most of your carbohydrates from whole grains, fruits, and vegetables. Read my page on Low Carb Diet Plans to get a better understanding of how low carbohydrate diets can help you to get ripped abs or a flat stomach. 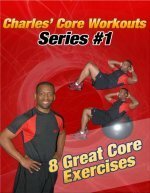 I decided to talk about abdominal exercises after I talked about discipline, aerobic exercise, and sound nutrition, because exercises are only a small part of the solution to getting rid of love handles. The muscles underneath the love handles are the internal obliques and external obliques. The oblique muscles will help to curl the trunk forward, like in a crunch, and they will also assist in tilting the pelvis back, like in posterior pelvic tilts. But to work the oblique muscles as hard as possible an exercise must include rotation/ twisting, or side bending. Here are a few exercises that work the oblique muscles. Remember, exercises are only a part of the solution. In order to lose body fat and decrease your waistline, you need to take a comprehensive approach that includes sound nutrition and aerobic exercise. To lose your Love Handles, you need to decrease your body fat and get in better shape. So use this site as a resource and keep working towards your goals. It's more than just a list of the best ab exercises. It's a Complete Women's Fitness Plan with Simple Secrets to Lose Weight. If you want to learn how to lose your belly fat, Click Here to find the ultimate in weight loss techniques using 3 simple steps! 100% Free!